Customization of highly advanced market leading revenue management capabilities, featuring competitive price/demand market response and dynamic pricing for profit optimization. Immediate full deployment of the MaximRMS hospitality business intelligence system. Long-term global licensing of MaximRMS patented advanced predictive analytic mathematical forecasting and optimization system. The MaximRMS e.FLEX system has been in use by full-service Hyatt properties since 2007. In 2009 and 2010, Hyatt deployed a version of e.FLEX at its select service properties. 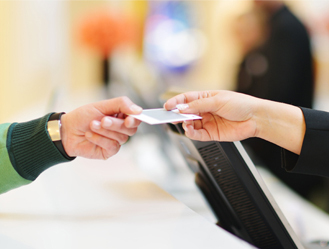 In late 2011, Hyatt rolled out the latest Group Sales functions of the Maxim system to manage and price group room business at full-service Hyatt hotels. Currently, the market leading MaximRMS hospitality business intelligence system is being deployed throughout Hyatt properties. Hyatt is deploying the MaximRMS hospitality business intelligence (BI) system. This technology provides a comprehensive package for hotels and hotel chains to understand, manage, and profit from their various hotel properties. This hotel business intelligence system combines all the detailed hotel and competitive data available with advanced analytics to explain and evaluate past and future hotel performance, deliver recommended actions, and optimize decision-making. Dynamically incorporate price elasticity from changing customer behaviors into the MaximRMS patented “state contingent” price sensitive optimization to produce profit maximizing pricing and optimal rate control. Optimize hotel rates based on the market’s dynamic response to competitive demand and rate actions.